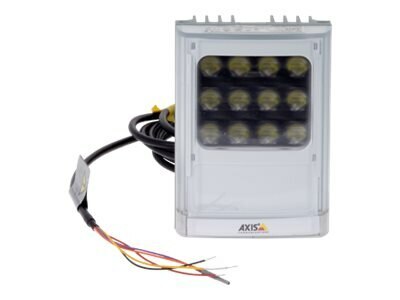 Based on the advanced LED technology, AXIS T90D25 W-LED delivers more light where it is needed. It generates longer white LED illumination distance, minimize light wastage, and prevent overexposure of foreground objects. With interchangeable lenses, the angle of illumination can be optimized to match your network camera's field of view. AXIS T90D25 W-LED Illuminator comes with a pre-mounted 10º diverging lens, and it includes diverging lenses of 35º, 60º and 80º beam angle.